Jeanetta created this beautiful quilt using the Bubba Boo set. Rebecca made this darling bassinette cover - so cute for a baby. 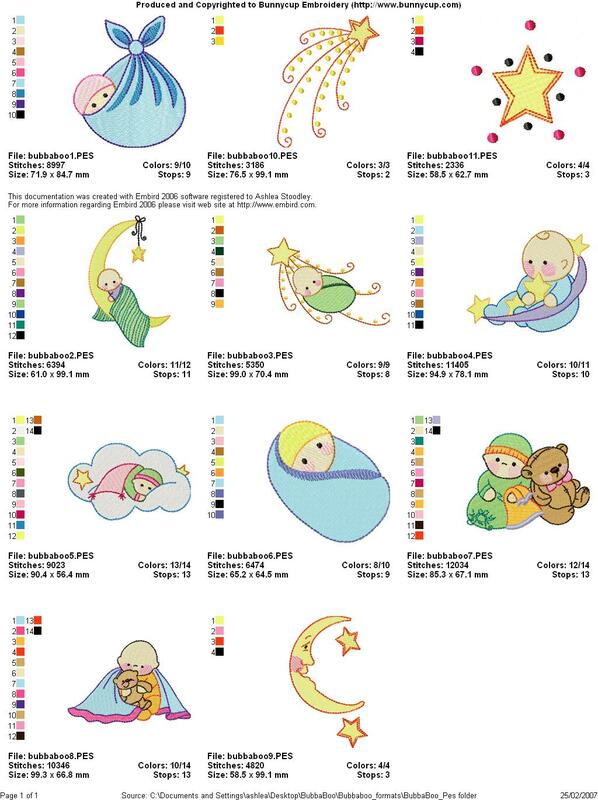 Amy sent in this adorable Bubba Boo babies blanket. Wouldn't a baby look so sweet wrapped in this! Jackie had created these darling totes using Bubba Boo and Bubba Boo in Halloween Too designs. Be sure to check Jackies website - it is one of my favourites! Barbara also sent in this adorable Bubba Boo nappy she made. Simply sweet. Barbara sent this nappy she made using Bubba Boo designs. PeggyLou made this darling baby blanket using a Bubba Boo design. Lynn made this darling blanket using a Bubba Boo design.